President Trump has made it no secret that he plans to spend a lot improving the nation’s infrastructure. With the transfer of powers completed and the new administration officially in place, changes to how the Government approaches procurement and focus on new/different initiatives will follow. While the details are still being parsed, we can assume that this will include everything from the proposed border wall in addition to repairing and building new transportation, utilities, and structures as well as changes to how the Government approaches procurement. But what are some things that you should be thinking of to stay proactive? Let’s take a deeper look at the top 3 trends we expect to see over the coming years. If you’re new to the topic, or perhaps a little rusty, the General Services Administration (GSA) administers a purchasing program called the GSA Multiple Award Schedule program. The GSA Multiple Award Schedule Program awards commercial companies GSA Schedule contracts to sell their products or services to federal agencies at a discounted price. 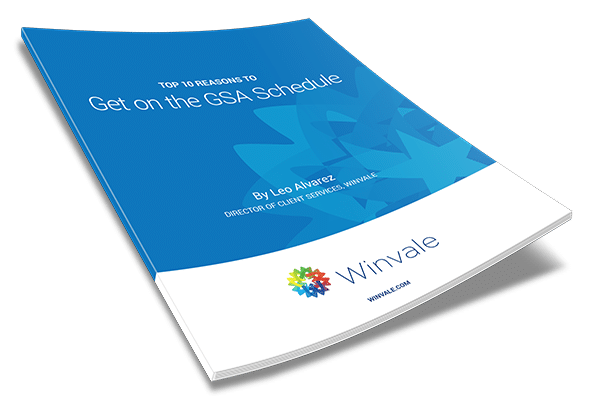 As previously discussed on this blog, a GSA Schedule contract, or simply a GSA Schedule, is a little bit like being part of an exclusive selling network which allows you to agree upon set prices, terms and conditions with the GSA. This simplifies the buying process for different agencies and allows you to sell to the Federal Government through established long-term contracts. With that said, let’s discuss the 5 W’s of GSA Schedules! With the start of the federal government’s fourth quarter (Q4) of the fiscal year (FY) quickly approaching, it’s imperative that your company is ready for a fast paced three months. This means having all of your resources and tools, including your GSA Schedule, ready to go. We’ve given you some insight on the basics of Q4 Spending, now let’s talk about what it takes to really leverage this quarter and make the most of it. 109 vendors have been awarded $11.5 billion Human Capital and Training Solutions (HCaTS) contract by GSA in collaboration with the Office of Personnel Management (OPM). This joint venture will utilize both organizations’ industry strengths through a singular procurement channel.